G&G concrete cutting was established in 1990 until Exact Group bought out the business in 2003. Exact Group is committed to providing commercial partners, industrial partners, residents, government departments and councils with the highest level of customer service and customer support. Exact Group is operated a team of skilled and experience personnel who thoroughly understand the complexities of concrete maintenance services, including concrete cutting, concrete breaking, concrete grinding, concrete reinstatement, concrete sawing, concrete inspection, core drilling, diamond grinding, road sawing, hand held sawing and hydraulic bolt-on wall sawing. Exact Group endeavours to offer the most appropriate skills and competencies for all stages of your project whilst providing a quality finish at a satisfactory time. Exact Group employs a methodical approach to managing on the job safety whereby we place our priority on all Occupational Health and Safety, EPA and other relevant legislation. Exact Group look forward to being of service to you in the near future. Exact Group offers a wealth of experience through its provided services to the commercial, industrial, residential, government and council markets. 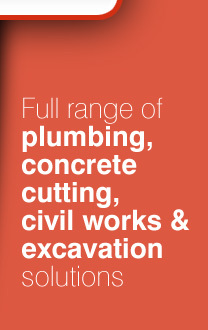 Supported by a professional and knowledgeable team of concrete cutting and core drilling specialists. Exact Group completes all jobs with efficiency and consistency. Exact Group provides the above listed services regardless of the size complexity of your project. Exact Group can attend to your professional requirement usually within a 2 hour period, 24 hours a day, 7 days a week. Exact Group is fully licensed and complies wholly with all necessary OHS, EPA and other relevant legislation. Our approach to Occupational Health and Safety is always a priority.